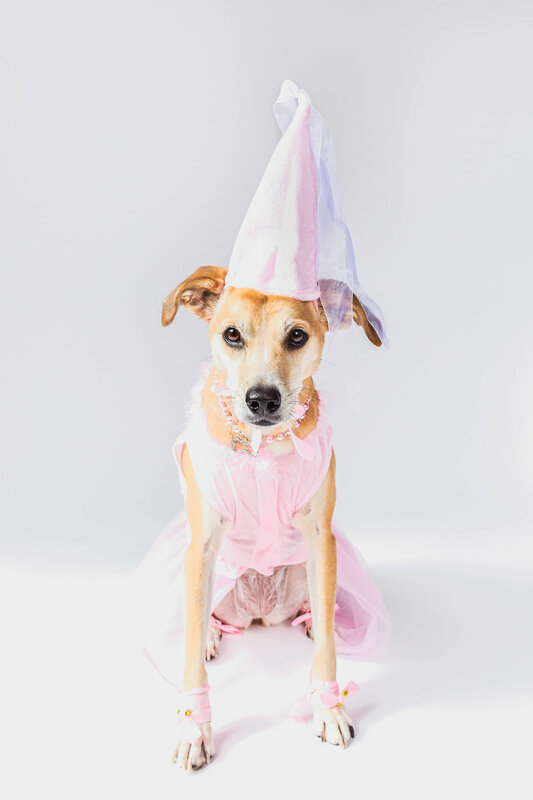 As we looked through all the submissions for the DCDogMoms 2018 calendar, it quickly became clear that we have a lot of talented pet photographers in the DMV area! We know just how hard it is to capture the perfect moment where the focus is clear, the lighting is right, your dog's personality is shining through. So we did some research and asked some of our favorite Instagram account owners how they get such great photos! We took what we learned and made a list of 7 helpful tips you can try - whether you're working with an iPhone or a DSL camera! A bright, well-lit photo makes everything appear crisp and colorful. It's hard to get ideal light conditions indoors, so try to take photos outside. Hannelle Lahti of adogphotographer.com says that indirect light is best. "Try the shady side of a building on a bright sunny day, foggy or overcast days when the sun is just beginning to poke through, or even inside near a large window," she says. Morning and evening, after sunrise and before sunset, are also ideal. The angle of the sun makes the light less harsh and gives a nice warmth to photos. 2. Fun first, then photos. Val Newgen of @bark.rangers has her dog Simba model her Etsy shop's latest products, so she knows the value of a good photo. She tells us that, "A tired pup is always more willing to listen to your 'stay' or 'hold' command. So make sure you take your pup for a walk, hike, or run before a photo shoot. Plus, they'll have that happy tongue-out smiling look when they're tired. Bonus!" Scroll through the Instagram feed of @otis_unleashed and you'll see just how dramatically perspective can change a picture. "I think about perspective and depth of field - what I want in focus," his momager says. "Sometimes I like to have the background blurry, and sometimes I want it in focus. I play with perspective to make Otis seem big or small." You can do this on a phone by photographing your dog from very close-up with your chosen background in the distance. On iPhones, make sure that yellow focus box is on your dog. This should let background objects blur a bit. If you have portrait mode that's an even better tool to give depth of field. Even incredibly photogenic dogs like @moogle_the_fluffy_corgi don't always get a keeper on their first try. The solution? "Take MANY photos! You can save a few good ones and delete the rest. I use burst mode [by holding down the shutter] to capture the dog's 0.1 second unique expression," his mom says. This tactic has an unexpected payoff too: bloopers! Once you have all those shots, you have to narrow them down. "Take your time editing," Moogle's mom says. "Play with your editing tool or app of choice to find the edit that makes the photo pop." Camera+ is a very flexible app that allows you to control a wide range of variables within your photo, including adding light, increasing contrast, and adjusting saturation levels. Bryan, the founder of www.dcdogrunner.com, knows just how difficult it can be to get the perfect group shot. His suggestion? "Choose the best-behaved pup (you know which one!) and have them set the tone. Center them and the others will take their cues." He also suggests that you keep the dogs moving forward. "Find your spot and walk past it and stop. Walk backwards calling the pups while facing them. Do your best not to turn your back throughout the process." This saves you from wrangling the pups around to face in one direction. How does your dog see the world? When you get down to their level, you'll see that things look a lot different. Check out @starboyluka's instagram feed and you'll notice a lot of close-ups. His dads try to shoot Luka at eye level. "We look silly squatting and laying down on the ground, but the quality of the setting is greatly improved." This dog's-eye perspective makes for unique shots that stand out in a crowd. How does Sarah Rosencrans of www.poochportraitstudio.com capture such perfect expressions? She does whatever it takes to get their attention. Whether it's a squeaky toy, a ball held right above the lens, or even calling out "squirrel," figure out what captures your dog's interest. Penny responds to "Wanna visit Grandma?" while Daisy gets excited if you squeak a toy nearby. And dog mom to @moogle_the_fluffy_corgi points out, while we may look silly capturing the perfect photo, "don't worry about what passersby would think. You must have no shame to get the perfect photo!" The best tip though? Have fun with it! Make sure your dog enjoys photos as just one more way you play together, and you'll be sure to capture some memorable moments!